Point Shot: Bruins Picked Apart in Ways We Haven't Seen In Years - The Point Data-driven hockey storytelling that gets right to the point. 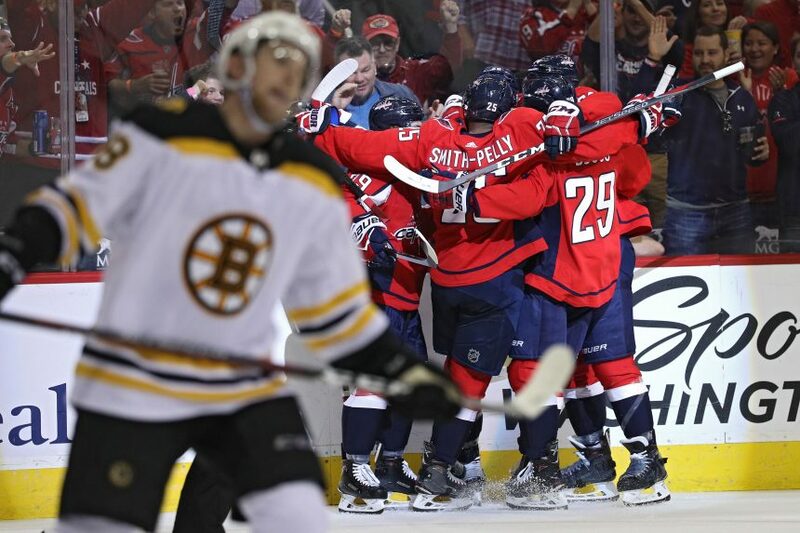 Last night the Bruins suffered their worst season opening loss in franchise history. Their 7-0 loss to the Capitals was the first time they gave up 7 goals since February 16th, 2017 in a 7-4 loss to the Oilers. To make matters worse, it was their worst defensive effort in years. The Capitals got to the middle early and often, finishing the game with 35 shot attempts from the slot. 35! To put that into context, 35 shot attempts from the slot is tied for the most Boston has allowed in a single game in the last 4 seasons. 24 of those 35 slot attempts hit the net which is the most the Bruins have allowed in a game in the last 4 seasons. What makes this so remarkable is that Boston was one of the tightest defensive teams in the NHL last season. 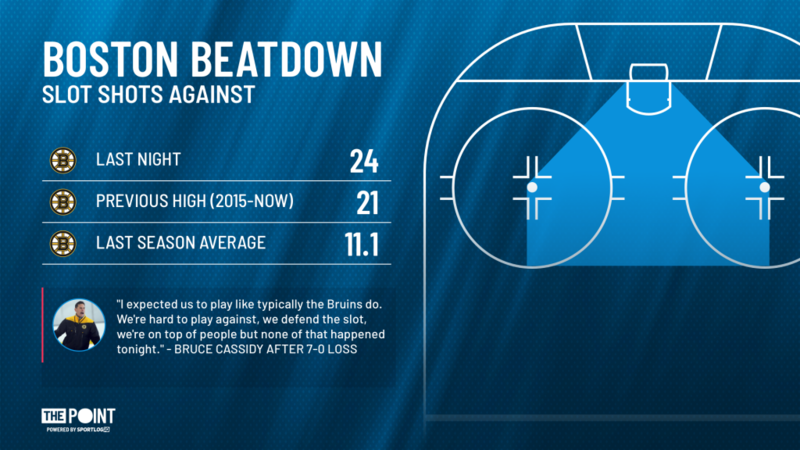 The Bruins allowed an average of 11.1 slot shots per game last year, the fewest of any team in the league. Seeing as it’s only game one of a long season there isn’t reason to panic, yet, but if the Bruins intend on being successful this year they need to get back to shutting down the slot. They’ll hope to do that tonight against the Buffalo Sabres, who averaged the 3rd fewest slot shots per game last season.